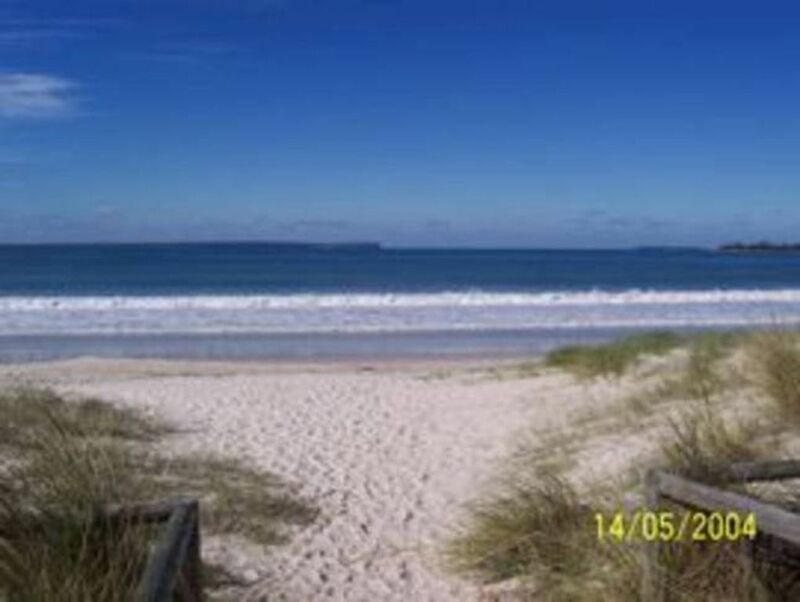 claudis is: a modern 2 bedroom self contained villa, virtually on the white sand of Jervis Bay. Great views of the bay. Awake to views of the bay from your queen size bed in the main bedroom with its own TV and Balcony with outdoor setting. The second bedroom also has a queen bed and 1 single fold out. 1 bathroom, 1 upstairs and 2nd toilet downstairs. Walk to shops & resturants along the beachfront cycle and walking path. Linen included just bring your beach towels. Discount Dolphin and whale watching vouchers 20% off. MIN OF 2 NIGHTS STAY. 2x TV, DVD & CD. Gas BBQ, Courtyard, W/machine,Garage. Well equipped kitchen with dishwasher & microwave. Beautiful beach only steps from your front door. Great place for a family to stay. Right next door to beach. Has everything you could want. What a truly lovely holiday we had staying at your unit. Thank you for providing a very comfortable home away from home. It was just amazing to be so close to the beach and walking along the beach or along the bicycle path were both so close to hand and really enjoyable. The very private courtyard which caught the sun beautifully at this time of the year was an unexpected bonus. I loved to sit in the courtyard and just relax and soak it up. Thank you for all you provided. I would love to return - even tomorrow if that were possible. Extremely well kept property with everything you need for an enjoyable stay. Loved being so close to the beach and walking track. Only con was constant traffic noise from the busy street; but overall a great location in a beautiful part of the world!